Mimoco clebrates SANRIO's 50th anniversary with the introduction of new SANRIO characters to the MIMOBOT collection. 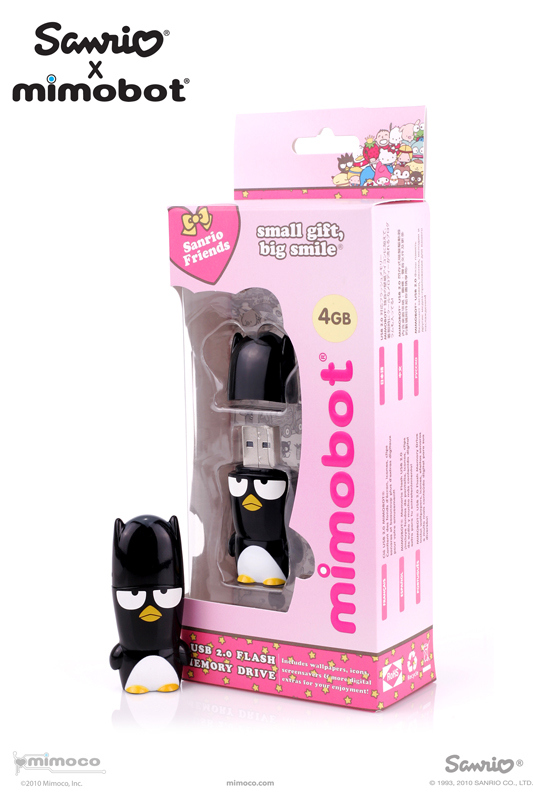 My Melody®, Chococat®, and Tuxedo Sam® as MIMOBOT flash drives. My Melody was born in the forest of Mari Land and is one of SANRIO’s most popular vintage characters. Also new to the line is Chococat, who gets his name from his chocolate-colored nose. This little boy cat has antenna whiskers, making him ultrasensitive to your most important data. Rounding out the new SANRIO MIMOBOTs available in August is TuxedoSam, the bow-tie wearing penguin who is fluent in both Penguinese and English. 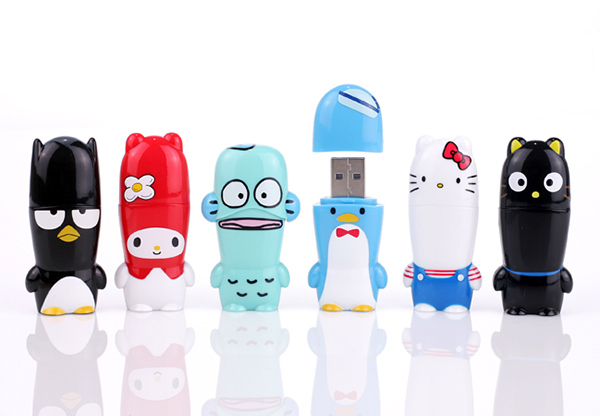 Badtz-Maru, My Melody, Hangyodon, Tuxedo Sam, Hello Kitty, and Chococat MIMOBOT. Mimoco clebrates SANRIO's 50th anniversary with the introduction of new SANRIO characters to the MIMOBOT collection.